Vasantharaja an ardent devotee of Lord Narasimha ruled the region with Capital at Vridachalam. Parakalasura used to interrupt Vasantharaja in building the temple for the Lord Narasimha. On guidance from his Guru, King performed penance for Narasimha who killed the Asura. Vasantharaja requested Goddess Lakshmi to provide Lord darshan in soft form. Pleased Goddess Lakshmi sat on Lord Narasimha Lap and cooled him down and provided the Darshan. 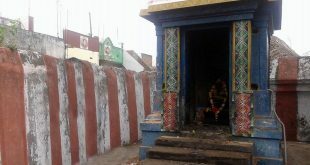 Vasantharaja named the place after the Asura as Parikala Puram because of whom he got the opportunity to have Darshan. This temple was later destroyed during the Mughal invasion. The present form the temple was built by Veera Narasimha from Karnataka with Granites. Major festivals are Narasimha Jayanthi, Brahmotsavam for 10 days during Chittirai month, Aani Garuda Seva, Vaikunta Ekadasi etc. Free Lunch will be provided for 100 devotees daily. 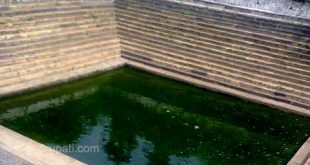 How to reach Parikkal temple? The nearest airport is at Pondicherry which is 68 Km away. The nearest railway station is at Parikkal which falls on Villupuram and Vriddachalam route. The direct bus is available from Chennai to Trichy via Villupuram and Ulundurpet. Get down at Kedilam Junction from there temple is reachable by Auto Rickshaw.